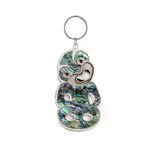 This key ring is inspired by the wonderful flowers and flora of the South Pacific. 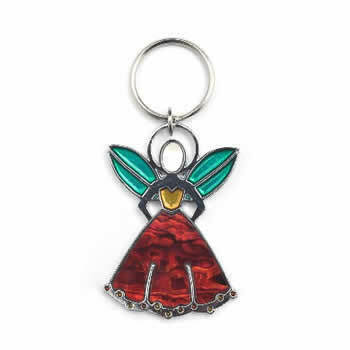 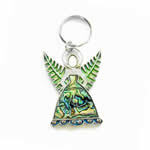 The keyring is in the shape of a fairy with leaves of the Pohutukawa. 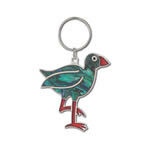 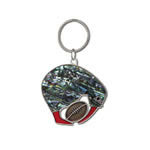 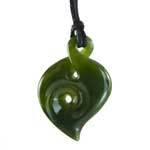 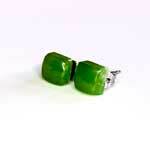 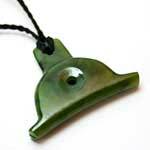 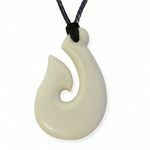 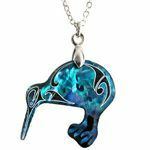 It is made from Mother of pearl and red paua and is chrome backed. 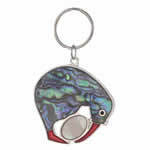 The key ring measures 60mm (2 1/2 inches) high.